The Professional Regulation Commission (PRC) and the Board for Professional Teachers (BPT) announces that 25,301 elementary teachers out of 70,786 examinees (35.74%) and 26,767 secondary teachers out of 77,803 examinees (34.40%) successfully passed the Licensure Examination for Teachers (L.E.T.) given last August 17, 2014 in Hong Kong and 24 testing centers all over the Philippines. 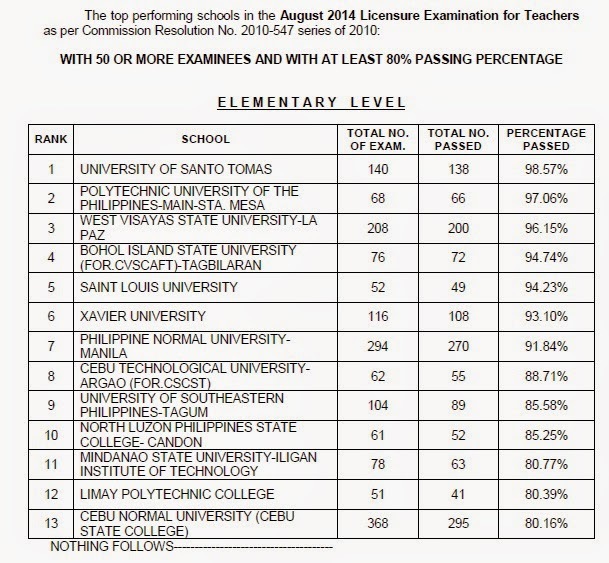 According to PRC, University of Santo Tomas (UST) is the top performing school for Elementary Level as per Commission Resolution No. 2010-547 series of 2010. 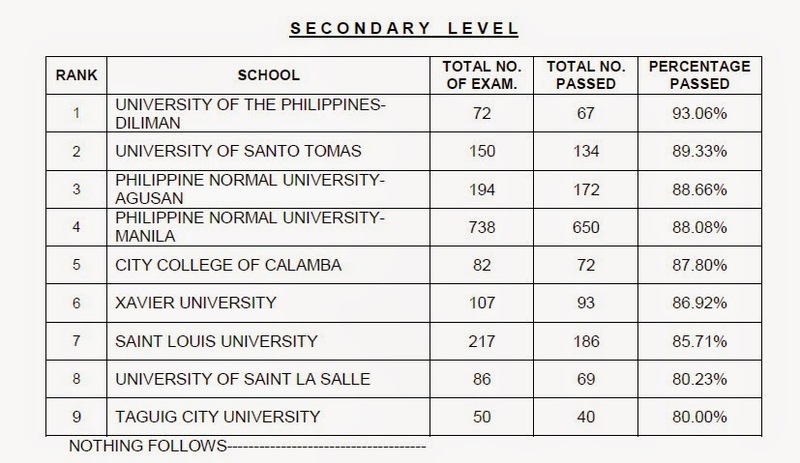 Meanwhile, University of the Philippines (UP) - Diliman is the top performing school for Secondary Level for its 93.06% passing rate.